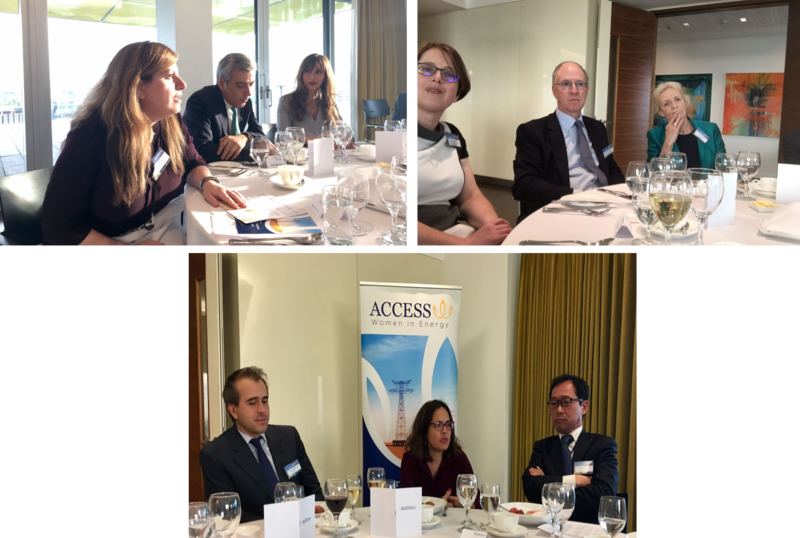 Access for Women in Energy (AccessWIE) organised a roundtable dinner discussion on the geopolitical risks in the Middle East on 16 May 2018. The dinner was hosted by Fieldfisher, a leading European Law firm, at their offices in London. Participants came from different organisations with interest in the Middle East, including: embassies (Japan, Kuwait and Lebanon in London), UK Parliament, with Lord David Howell, Chairman of the House of Lords International Relations Committee and Co-Chairman of AccessWIE, academia (London School of Economics and City University), international oil and gas companies (BP, Total, Tellurian Inc.), financial institutions (Standard Chartered and the European Bank for Reconstruction and Development (EBRD)), the International Energy Agency (IEA), International Institute for Strategic Studies (IISS), and consultancy firms including Crystol Energy, Ernst & Young, IHS Markit and S&P Global Platts. Dr Carole Nakhle, CEO of Crystol Energy and Director of AccessWIE, chaired the discussion, which focused on the ongoing war in Syria, US withdrawal from Iran nuclear deal, Lebanon’s recent elections, the region’s economic challenges and oil price, among others. The discussion was held under Chatham House rule. Overall, the view was pessimistic: participants believe that the Middle East is experiencing a breakdown of the existing order and a new order is emerging – one which is likely to look more chaotic. Click here to read the summary of the discussion. AccessWIE would like to thank Fieldfisher for their generous support and remarkable hospitality.